Today, we are making an extremely simple but fun artwork. All we will need is paper and some liquid paint in bottles. Fold the paper half and open again. Get the kids to pour paint all over the paper. The kids will love pouring paint all over! 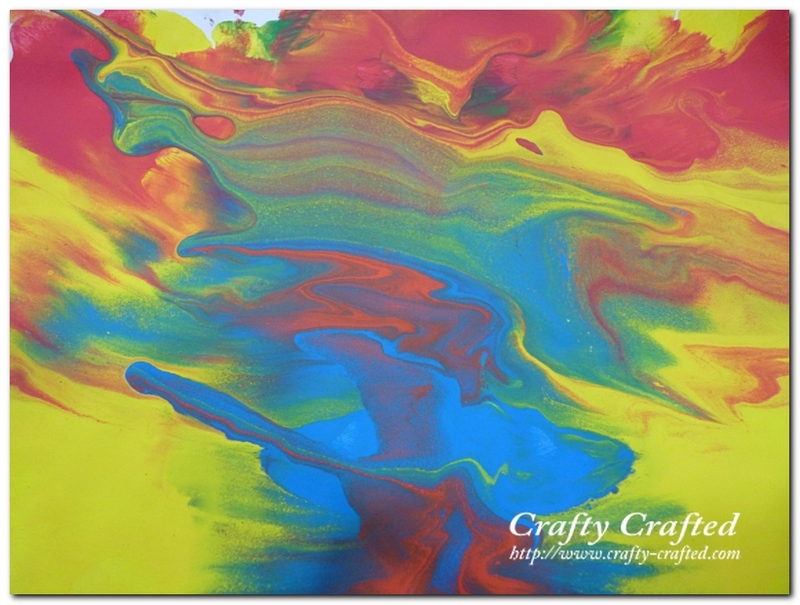 Fold the paper half and flatten it, spreading the paint inside along the way. Slowly unfold the paper and the kids will be surprised to discover how the paints look like now! I think my kids will like this activity. Thanks.